In the world of website hosting, Bare Metal Servers really are the buzz word of the day. And with good reason. These servers offer a good balance of high performance at a reasonable price, combining as they do the best bits of both dedicated and cloud servers. Let’s start with definitions. A dedicated server is a physical server that is purchased or rented entirely for an organisation’s own unique business needs and they are typically used by organisations that have steady, high demands for server capacity. 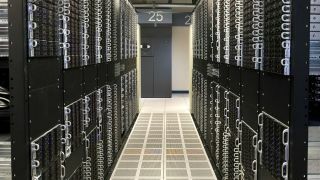 For a long time, dedicated servers were king due to their unrivalled performance and lack of contention, but all this high power and dedication can be expensive, so cloud or virtual servers arose to offer a better value alternative for those who do not need the best performance and often need to scale their capacity to meet changes in demand. Cloud servers can be configured to provide levels of performance, security and control similar to those of a dedicated server, but at a more cost effective price because of the economies of scale that come from sharing with other customers. Businesses with variable demands and workloads often find that scale able cloud servers work better for them. So how do Bare Metal Servers fit into this server landscape? Once upon a time, all servers were Bare Metal Servers, in that servers were kept on the premises and usually belonged to the organisation using and operating them. They were then called ‘single-tenant servers’, as these servers were not shared amongst several customers but were dedicated to the one client who rented the server. But with organisations wanting to do away with the cost and effort of maintaining and storing their own servers, and with more and more users all over the world wanting to make use of the server capacity available, data centres that shared the resources and the corresponding costs between clients gradually came into being. Bare Metal Servers are not completely new therefore - they are more like a reinvention of dedicated servers - but they do differ from dedicated servers in that they offer shared resources, which keeps the cost at reasonable levels. Bare-metal servers are ‘physical’ servers, not virtual ones and while each server may run any amount of work for the customer, or may have multiple simultaneous users, they are nevertheless dedicated entirely to the one customer – either an organisation or individual - who is renting them. Think of them as being an Infrastructure-as-a-Service (IaaS) where you can draw down as much or as little storage and processing power as you need, but still only have to pay for exactly what you use. Why are bare metal servers so good? The best thing about Bare Metal Servers is that they are dedicated to you and you alone which ensures high-performance at all times and especially when you need a short burst of high performance activity. They not only give you complete access to the server and its resources and root access to the systems on the server (something that definitely wouldn’t be allowed with a shared resource), and also allow you to manage security more efficiently on-site. With a Bare Metal Server, you can see and control usage down to the minute, but with no upfront costs or contracts. Start, stop and pause your Bare Metal Server at any time, and with ongoing cost estimates, you can see a summary of the total amount payable on the last day of the month. What’s more, if you already have a cluster of virtual machines (VM), it’s easy to link your Bare Metal Server to your VM and have them work together. Spin up a Bare Metal Server to take some of the heavy processing load away from your VM and then simply shut down the server when you’re finished. Alternatively you can store critical data on a Bare Metal Server and have front-end, load-balanced virtual machines split the processing load. Solid-state disks (SSDs) offer high performance speeds even over the heaviest of workloads due to SSDs having much higher input/output rates than hard-disk drives. If, as part of your business, you collect vast amounts of data, a Bare Metal Server could also be perfect for your big data processing. Internet of Things (IoT) devices, for example, collect a huge range of data all the time, but you may only need to process it once a year, in which case, Bare Metal Servers give the high performance and resources that are needed to process it, as well as the flexibility to be able to spin up the server when you need it and shut it down when you’re finished with it. It may only take a couple of days or weeks to process that data, but with a Bare Metal Server, you only pay for the resources you used during that time, and not for the whole year round. Ecommerce websites are another example of where usage can be sporadic and inconsistent at different times of the year. So, for example, retail websites may expect high volumes of traffic in the lead up to Christmas. In the past, it may have seemed sensible to rent a high-powered dedicated server all year round that had a high enough spec to cope with the surge of traffic in November and December. But then you’d be paying for resources that you don’t need for the rest of the year. So, why not spin up and integrate a Bare Metal Server into your infrastructure to handle the extra processing load for a couple of months and then? Bare Metal Servers can also be integrated into a network of virtual machines, so another option is to use scalable, flexible cloud servers to handle the resource - intensive seasonal traffic and have an integrated Bare Metal Server to store the back-end data like databases of customer details. This hybrid infrastructure gives you the best of both worlds - the scalability of the cloud, as well as the extra power and security of a dedicated server. Bare Metal Servers are being used in a variety of different, and sometimes unexpected, sectors. Hollywood studios, for example, use clusters of cloud servers as render farms to render computer-generated imagery (CGI) for film and television visual effects. Bare Metal Servers are a great way of doing this because they give large amounts of resources for short amounts of time, but with no long-term contracts. With production deadlines and film release dates more set in stone than The Ten Commandments, any delays can cost millions of dollars. But one way that production companies try to speed up the output process is by investing in the cloud for the rendering and exporting of the completed film. Especially in high detail and high frame rate productions, (like the animated masterpieces that Pixar develop), rendering a film used to be a process that would literally take years. Each frame of a Pixar animation can take between 10 and 100 hours of CPU time to render, so if you multiply that by between 24 and 60 frames per second, and then multiply again for a roughly ninety-minute film, and a theoretical render time for a film on a single machine could hit between 10 and 100 million processing hours - or between 100 and 1,000 years. It’s no wonder that we’ve had to wait 12 years for a sequel to Finding Nemo! This theoretical one-machine render time is cut down by creating a super computer cluster of machines that are rendering simultaneously. What takes one machine 100 hours to render, 100 machines can now do in one hour. That’s why Hollywood is migrating to the cloud. Because with render farms built on the cloud, they can connect thousands of virtual machines to scale down processing times to months instead of millennia. One other benefit of Hollywood using the cloud is that when they’ve finished rendering using the cluster of vCPUs they can just turn it all off. If you wanted to do the same process using physical processors, then when the film premiered you’d still have tens of thousands of machines whirring away in a building out in California. The functionality of the cloud allows you to spin up the hypervisor (virtual machine monitor) environment when you need it, and then turn it off until the sequel. So are Bare Metal Servers more than just a flash in the pan or are they here for the foreseeable future? Essentially, choosing between a Bare Metal Server and a dedicated server or a virtual server comes down to each organisation’s needs and budget. If you want on-demand access, high scalability, and pay-as-you-go features, then bare metal cloud is the answer. Each solution has its advantages and the best test is to evaluate the impact on your infrastructure and service management, and move forward according to your own findings and experience.